The company has grown to an industry leader with 350 artists and professionals. ZHONGSHAN, China, November 6, 2018	(Newswire.com) - This year marks the 17th anniversary of the Zhongshan Grand Orient Wax Art Co., Ltd. Started with two co-founders with a startup team less than ten; the company has grown to an industry leader with 350 artists and professionals. 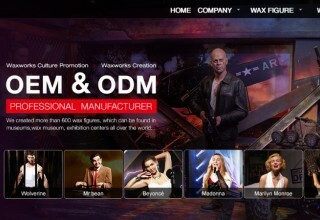 As a famous wax figure manufacturer, the company has been focusing on waxworks creation and waxworks culture promotion since 2001. Wax art appears as a form of super-realism. 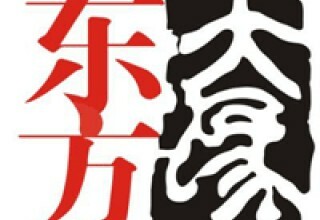 It is a comprehensive art that combines sculpture; painting; clothing and theatre art. Similar with other forms of art, wax figures reflect real life, giving people a sense of artistic beauty and wisdom. Zhongshan Grand Orient Wax Art believes in the spirit of craftsmanship and the power of attachment. The creation team defines a new standard for super-realistic wax figures. The perfect combination of art and craftsmanship makes China's ultra-realistic waxwork art reach the world's top level. Over the years, the company has gained much experience and recognition for its work. In August 2018, the Art Director of Madame Tussauds Timothy Burnell visited the company. This is the second visit by Madame Tussaud Wax Museum since 2012. Mr. Burnell highly appraised the quality of wax art products and discussed the further cooperation intention with the Grand Orient Wax Art. Besides wax artwork creation and exhibition, Zhongshan Grand Orient Wax Art extended its business to the theme amusement business. From professional consulting, planning, creative design, implementation, to construction realization, the company has served more than 2,000 clients globally, including Universal Studios, Disney, Chimelong Group, Overseas Chinese Town, etc. In addition to domestic, the company has served international clients such as the United States, Malaysia, Singapore, Dubai and Turkey. Founded in 1999, Zhongshan Grand Orient Wax Art Co., Ltd has been focusing on waxworks creation and waxworks culture promotion for around 20 years. 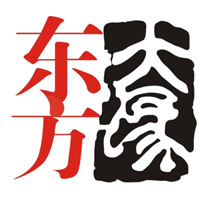 Zhongshan Grand Orient Wax Art has created more than 600 wax figures for wax museums, art installations, and exhibition centers all over the world. Its featured wax figures including celebrities, famous politicians, movie characters, and animation derivatives. In addition, the company is dedicated to waxworks culture promotion. It has successfully built and operated more than 30 wax museums in China and Malaysia so far. 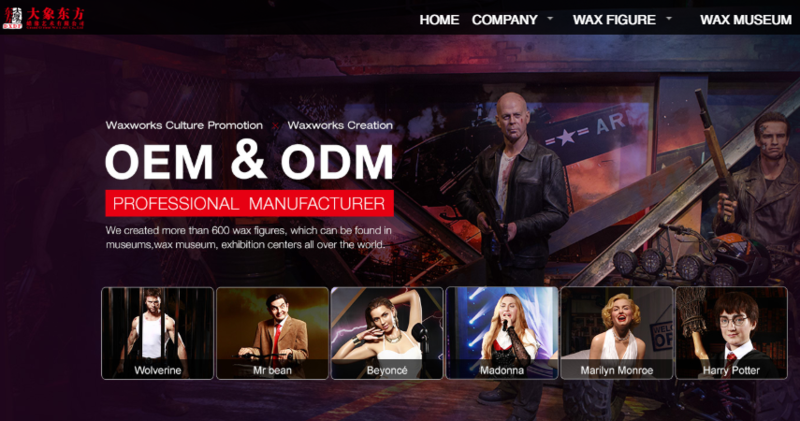 Zhongshan Grand Orient Wax Art provides professional customized OEM and ODM services for waxworks.